Heart rate monitors have been used by all kind of endurance athletes for the last 20 years. Since there is a strong correlation between oxygen consumption and heart rate during prolonged exercise, knowing your current heart rate is a great indicator of your current oxygen uptake. When you’ve used your monitor a couple of times, you will start to notice that when you ride with a low heart rate you can keep the pace for hours. On the opposite: riding with a heart rate close to your maximum heart rate can be maintained for a limited time only. When you get stronger your resting heart will get lower. This is because your heart has an increased stroke volume which means it requires less beats to deliver the same amount of blood for your body. So registering your resting heart rate every morning (or maybe just once every week) can be a good way to identify progress in your fitness. I can promise you that this is one of the least exhausting ways to discover improvements. If you are a lazy rider that would like to notice progress but don’t like to do tough physical tests then register your resting heart rate in the morning. Please notice that there are some fluctuations from morning to morning, so don’t give a single measure to high impact on your evaluation. Like at all other times of the day, your heart rate will be affected by several factors like water balance, nutritional status, psychological stress etc. If you don’t already know your threshold heart rate, then I will strongly recommend that you perform a threshold test. This could very likely be a criterium or a time trial with a finishing time between 30-60 minutes. Your average heart rate in that race can be used to calculate intervals in the future. For example if you do a time trial with a finishing time of 48minutes and average 178 beats per minute, then you will get an idea of what kind of intervals needed to prepare you for the next time trial. Just remember that the adrenalin kick at competitions make it easier to maintain a high pulse. 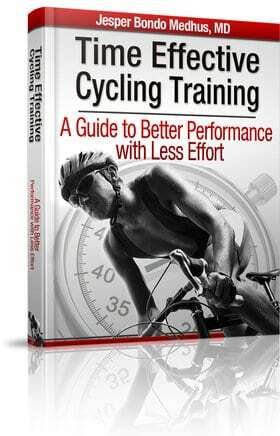 You can also calculate intervals or rides at a lower intensity based on your heart rate in the threshold test. 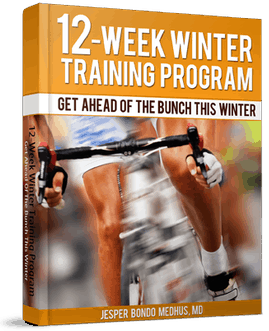 How hard these intervals should be is very individual and is influenced by training status and experience. If you do short intervals with a length of less than 3 minutes it is most often not a good idea to use your heart rate monitor for pacing. Heart rate values are ever so slightly delayed and represent your physiological response to past training. In contrast, a power meter represents your current external workload. Anaerobic intervals should be done on feeling or optimally by pacing with a SRM crank, PowerTap or similar. Polar have a couple of heart rate monitors that offers you the opportunity to analyze data from your races or training rides. Analyzing a cycling race is funny and also very useful. E.g. time trialists can identify if they have made a too fast start and didn’t manage to keep the heart rate high all the way to the finish. As I mentioned above, it takes a couple of minutes before you are in the target zone, so trying to hit the target zone after just 2minutes is an easy way to die in a time trial. One of the best ways to learn about heart rate monitors is simply to use them. Get out on the roads! As I’ve said before here on the website and in both my e-books: If you don’t take action, these tips won’t help you. I’m new to the use of HR monitor. I’m trying to figure out what are my hr zones. I tried Coggan’s zones, but they look too low for me (expecially zone 2 and 3). Then I found this article (http://www.training4cyclists.com/basic-principles-of-cycling-training/) and that zones based on max HR looks better for me. Do you have a table based on LTHR instead of MAX HR? Do you recommend that instead of max HR?